We are so accustomed to the usage of glass that we often overlook its presence and importance unless it shatters. Our homes, offices, schools, and hospitals, all have one or another kind of glass incorporated into its construction. The bathroom or dressing mirrors, table tops or skylights, glass is there to serve you. Your window panes or doors are there to protect you from the external environment and its harshness. And when you have glass around, you cannot avoid its shattering forever. Imagine that an unfortunate collision of furniture and glass door leaves you and your door glass shattered. 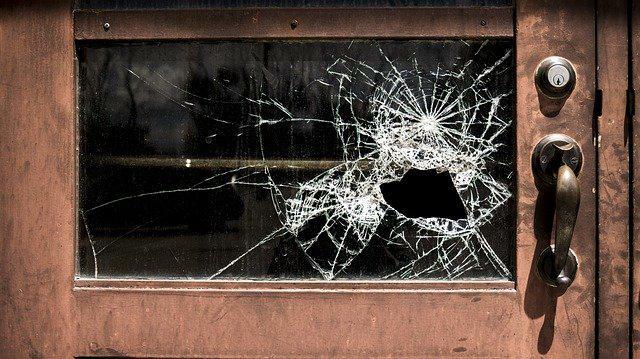 You will have to find some reliable broken door glass repair service near you for your safety home maintenance. Wherever you live, you can look for nearby companies providing services such as a window or door glass repair, glass replacement or professional cleaning. While there are people to take care of your broken glass, it’s good to know some details about this amazing amorphous solid. There was a time on planet Earth when the glass was only obtained from volcanic rocks. Stone Age societies were familiar with its importance regarding its ability to cut sharply. As per the archeological evidence, residents of Mesopotamia were the first people to “make” glass on their own. It has stayed a luxury commodity for a long time period in human history. History witnessed extensive making and use of glass in the middle Ages. As time progressed into the 19th century there has been a revival in glass making techniques and thus its uses. 20th-century glasses were better in strength and provided a variety of features and were chemically tailored to meet various requirements. These days we have an immense variety of glass and accordingly its applications. Today glass has widespread uses in technology and decoration industry. The answer to the question that which type of glass should be chosen for what service can be made easier by having good knowledge about the glass types and their conventional usage. Here is a list of glass types most used by present-day engineers. Checkout & Read also: What are the potential benefits of tolling services? Laminated glass is made by combining two or more layers of glass. It’s also known as safety glass due to its property of reducing impacts. It stays in its place due to the inter-layers, preventing sudden breaks. It is heavier and thicker than normal glass providing soundproofing. Most commonly it is used in the construction of bridges, aquariums, windshields, and hurricane resistant buildings. Float glass is made by floating the glass over the metal sheet to provide it with very flat surfaces. It is also known as soda lime glass due to its constituents; sodium silicate and calcium silicate. They are available in a wide variety of thickness to cater to your needs. Most of the public places such as shops and market fonts are made up of float glass. Glass wool is made by mixing and heating together the natural sand and recycled glass. It is known as “wool” because it is constituted on thin fibers which entrap air or gas. Such structural composition makes it the best agent for thermal insulation. Thus it’s generally used to insulate homes and building from the harshness of weather. Tempered glass is also known as toughened glass. It is tempered by altering normal heating and chemical treatments. Controlled heating provides tempered glass with increased surface stress. Its usage mostly compliments its property of shattering into small granular pieces. The smaller and rounder chunks are less likely to cause injury in the case of an accident. With the use of tempered glass, you can have a safe cracked window glass. Thus it is used in safety demanding applications such as automobile’s windows, shower doors, and mobile screen protectors. Recent advances have brought glass usage to another level. The chromatic glass or more suitably called “smart glass” is used to enhance the experience of glass usage. It can provide altered transparency efficiency. It can even help users to change color perception. Chromatic glass has a lamination which can be sensitive to any of the three factors, light, heat or electricity. It is used in high-end business buildings and luxury vehicles. It has a very important application in intensive care units of hospitals. Glass blocks are made by annealing two halves during the melting process of glass. They are often used in places where the goal is to obscure vision with the admittance of light rays. They serve to increase the aesthetic appearance of walls and a good amount of light. They are generally used in making walls, skylights, and sidewalk lights. The mesmerizing hues of stained glasses have enhanced buildings since the middle Ages. Addition of various compounds gives certain tints to the glass. These certain colors not just beautify the glass but also blocks solar heat and light to some extent. It has widespread decorative uses in windows and walls. Maintenance for tinted window glass is easier as a number of professionals provide cracked window glass repairs.